The lighter side of Duality. My word, what a staggeringly high quality album. Yes, it is a free album, and one can't beat that, but a free bad album might not as well be an album at all? 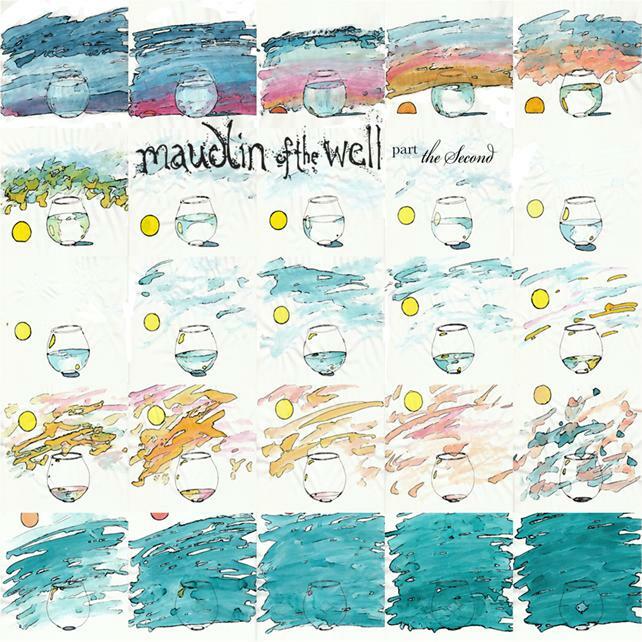 Fortunately for the fans of maudlin of the Well, this is one of their best releases. I don't think I enjoy it as much as Bath or Leaving Your Body Map, but such is to say one doesn't like getting a free pile of gold as much as a pile of diamonds. The atmosphere, as to be expected, is stunning. Each song seems to place every note as needed. There aren't any moments of this album that seems unnecessary, or forced, or extra, or lost. Everything is well produced and vibrant, too. Overall, the sound is a more held back (yet still very emotionally stirring and powerful) tone than previous releases. The first track is almost positively sunny and lush before it dips into highly experimental rock territory. The space driven atmospheres interspersed with heavy rocking moments, and chamber music melded together so damn fluidly, is something astonishing to behold. Nothing is predictable, and there are a multitude of intriguing sound spaces to get lost in. This is not an album to play as background music, but could definitely function as such, if needed. As much as the 5 songs recall past band experiences, they craft ahead with a new sense of deft security and grace. Another Excerpt is fantastic, and shining in its more free form powerful delivery. I stress not paying much attention to song beginnings and endings, however, as this album fits very well as one experience, which is how I feel of all their albums. Each movement is a highlight, and a musical gold mine. I can't cite a single weak moment, as there is no wasted time or overused sounds. The atmosphere is defiantly graced and steeped in the soft and the hard, the grace and the swagger, the jazz and the classical. It teeters shatteringly and smoothly between build up and release, without ever actually releasing, as it always culls your attention by sheer force of will. Possibly the best free album ever made, and one of the best albums in general. So much skillfully complex musicianship and composition in one album, it is breathtaking. If I had to, I'd say the worst parts of the album come in the form of its unabashed acceptance of light and dark, build and release. This could throw off potential listeners who prefer one main theme. But really, they are diverse, while retaining a cohesive atmosphere. I stand in awe while listening to this shocking release, and cannot stress how much it strikes my interest, and captivates me emotionally. Part The Second ends with the very deep and rousing Laboratories of the Invisible World, which melts together one of their best adaptations of warmth and brutality of all. Taken independently, or as a whole, this will stand as one of the finest releases this century.